Highlands NC kicks off the holiday season this Saturday with the annual Christmas Tree lighting ceremony. The Highlands/Cashiers area is magical at this time of year. The Saturday after Thanksgiving is the traditional day to begin Christmas activities. This also signals the return of Santa and Mrs. Claus. If you are in the Highlands NC area this week make sure you get Downtown to enjoy the festivities. Santa and Mrs. Claus will make their first appearance following the Annual Christmas Tree Lighting on Saturday. This fun event includes the Children’s Chorus, the singing of Christmas carols, hot chocolate, and cookies baked by local businesses and residents. In addition, the Highlands Ice Rink will be open for skating. 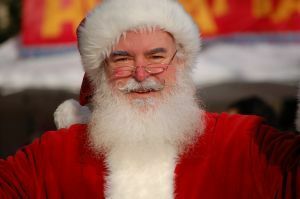 Don’t miss out on the holiday fun in Highlands NC this weekend! The Highlands community enjoys getting together and joy that the holiday season brings. This Saturday is a great opportunity for all ages to gather to continue the Thanksgiving festivities, looking forward to the holidays to come. The mountain lifestyle is a social one and the Annual Christmas Tree Lighting is no exception. Contact our team at Berkshire Hathaway HomeServices Meadows Mountain Realty today to learn more about Highlands NC real estate. We welcome the opportunity to update you on market conditions while serving as your guide to the area. Let our knowledge and experience help you get to know Highlands NC like a local!